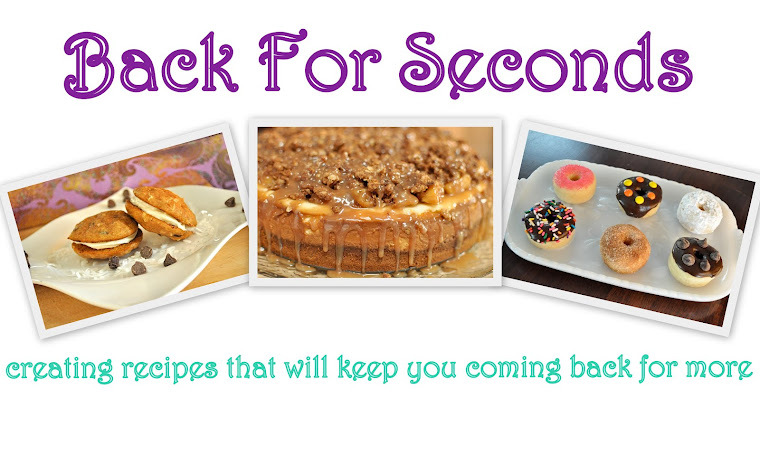 My best blogging friends and I are joining forces today to bring you some delicious recipes! We have been so inspired by one another and thought it would be fun to switch things up and create recipes as an ode to each other! These girls are rock stars in the kitchen so be sure to check out each of their posts today - you won't be disappointed! When I saw her post for these donuts, I knew we were gonna be great friends! Those donuts were the inspiration for these muffins. I am calling them muffins so you don't feel guilty about eating them for breakfast. You're welcome. 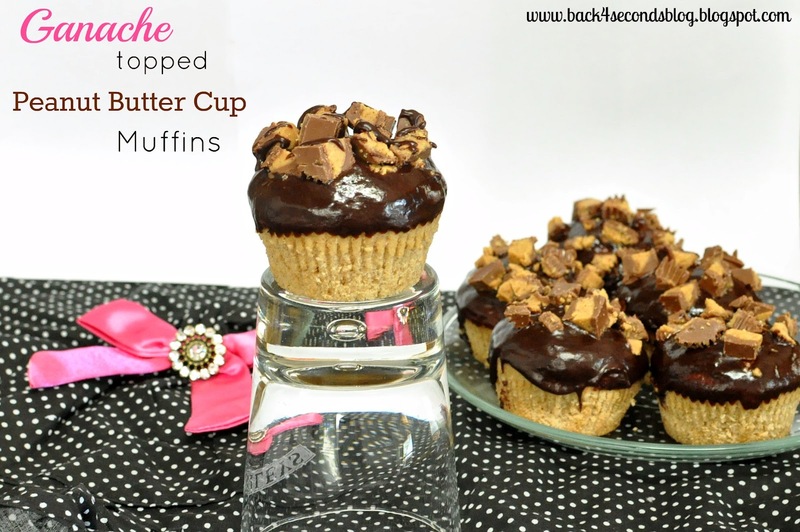 They are moist and peanut buttery with a hint of banana. 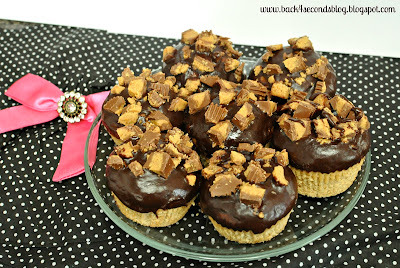 Most importantly though, they are dunked in ganache (my most favorite food) and smothered with peanut butter cups. I die. Go make some now. And while they are in the oven check out my friends blogs and see what their whipping up and who inspired them! In a large mixing bowl beat together peanut butter, mashed banana and sugar until smooth. Add in milk, sour cream, vanilla, and egg. Mix well. Gradually add in the flour, salt, cinnamon, baking powder and mix until well combined. Scoop batter into prepared muffin tins 2/3 of the way full. Bake for about 15 minutes or until toothpick inserted comes out crumbly. Let cool on wire racks. In a double boiler heat heavy cream until it just starts to simmer. Turn off heat and pour in chocolate. Let it sit for a few seconds and then stir until all the chocolate is melted and is smooth. Dip muffin tops into the ganache and sprinkle with peanut butter cups. I think if I had one of those for breakfast I'd be bouncing off the walls all day! My boys on the other hand would appreciate the *lift*. Will have to try them out! Wow, these look amazing. And thank you for calling them muffins so I can eat them for breakfast--hee! Even more, a big thank-you for organizing the switch up! This was such great fun! Thanks for inviting me to participate in this fun blogger switch-up!! I had a blast! those look sinfully delicious! i make similar cupcakes. i love that these are muffins! 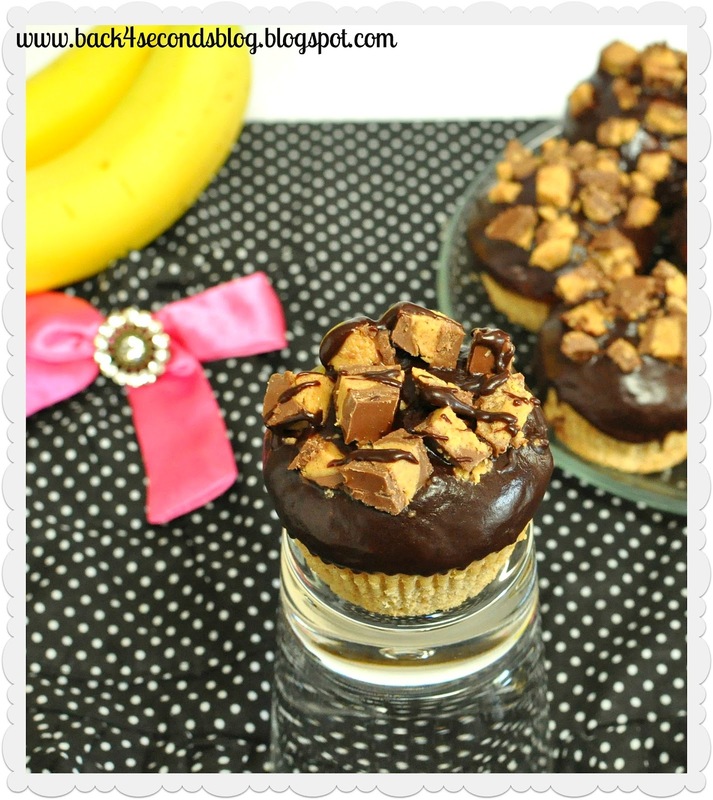 Oh my gosh... these look delicious! I can't wait to try them! Oh my!! Those look so divine! I love pb cups myself and so does my kiddo. I pinned it to keep for our next recipe. :) I am following you through the GFC hop this week. Looking forward to seeing more yumminess! Dear goodness, those look so good... New follower from GFC. Oh my yumminess! I am visiting form the blog hop and am now following your cute blog:> Hope you can stop by and say hi! Chocolate ganache might be one of my favorite things in the entire world. This looks amazing! 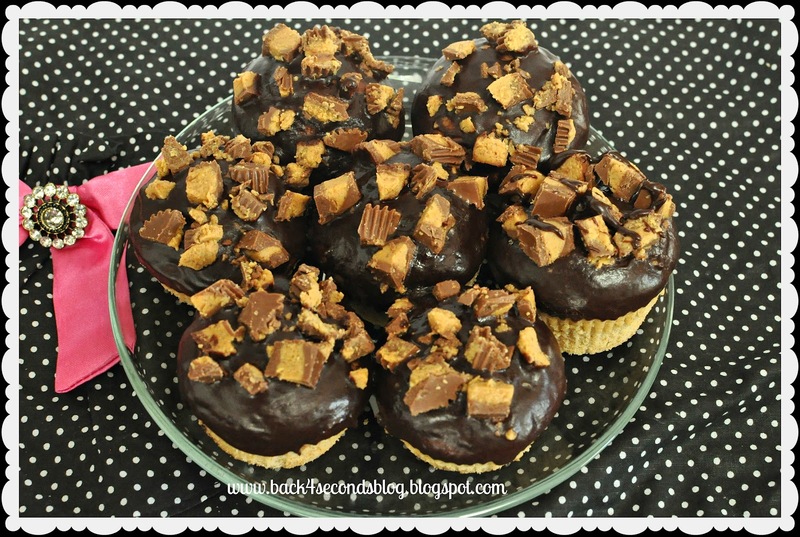 Anything with peanutbutter and chocolate has to be good, and these look delicious! New to your blog from StoneGable and am following, too. Wow, these look amazing! I can't wait to try this recipe. I love the switch up idea, what fun. Thanks so much for linking up to Creative Thursday this week. I can't wait to see what you link up next week. Have a wonderful weekend. Decadent and delicious! Thanks for linking! Those look devine! 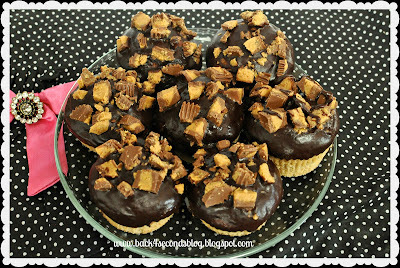 Peanut butter and chocolate are my favorite...and ganche...mmmm. I guess I won't feel guilty about making them since they are called muffins, lol. I think I've gained 10 lbs going through the links from my party. But worth every calorie to see treats like these! They look delicious! Thanks for joining Food Friends Friday! Please join us again next week. Wow! These look delicious! Thanks so much for linking up on Foodie Friends Friday! Oh My God. This looks really beautiful. It's better than those for sale in bakeshops. Yum! Oh my goodness gracious! I want one now! Featuring your post on Facebook today! Mmmm you know the way to my heart, or featured pinterest page. Thanks for linking up to Topsy Turvy Tuesdays! I'm featuring your muffins today!